Accounting must be given prime importance in any business entity as it is most required, especially for controlling and for providing financial reports at the end of the year. 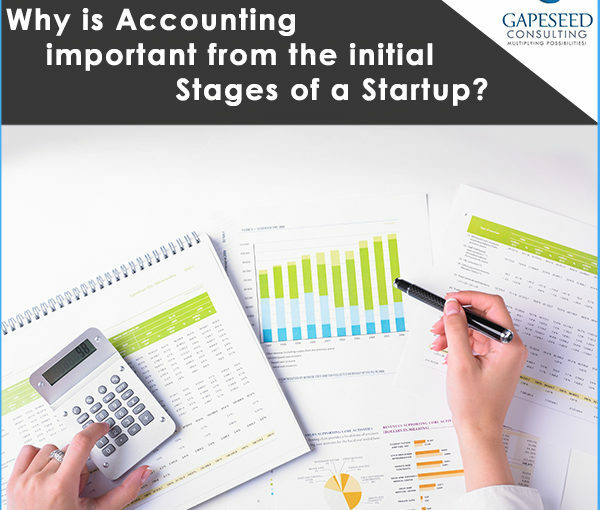 Accounting will help a Startup to determine its productivity and its profit from the initial stages of the company. This provides entrepreneurs a method for maintaining accounting information. The accountant hired by the company will keep track of the money spent for business use as well as for personal use, this will help in strategizing on how the money can be saved. In the initial stages of a Startup, the company must hire consultants or interim CFOs to maintain simple accounts rather than spending more on in-house professional resource. Every Startup needs to provide information regarding its financial estimates to banks, investors or lenders to obtain funds in return from them. Accounting helps the business to make a business plan which includes estimated monthly expenditure, economic forecast, projected rate of growth of the Startup. This information is really important for a Startup to lure more and more investors to invest in their idea. The investors also ensure that the entrepreneur has a reliable projection of its company’s financial expectations. Accounting helps an entrepreneur to determine its profitability in the future. It helps in monitoring the progress of the company and also to make necessary amendments where necessary. Through accounting, entrepreneurs will get to know where they need to use their assets to generate profit. An entrepreneur also needs to provide financial information to its investors to ensure them that they will be paid in a timely manner. A monthly statement such as a balance sheet and an income statement shows how if a business is blooming or not, these statements helps in determining a business general profitability. Accounting helps an entrepreneur in setting up a Budget for expenditure on various aspects affecting a Startup. Accounting helps in maintaining records of the cashflow in the business, capital is used in hiring of employees, advertising, purchasing of inventory, petty items. Budget helps an entrepreneur is reducing expenditure on not so essential items and by saving the capital for future purposes. Taxation is a main aspect where a Startup may face some difficulties beyond the areas of fund raising and finance. This is where trained professionals like Chartered Accountants play a crucial role in the growth of the Startup. A trained professional who knows the tax laws whether it may be direct tax, indirect tax or any other tax involved will smoothen the working of the business. Well managed and transparent taxation is one of the most required aspect in Accounting for Startups. An accountant helps an entrepreneur by letting them focus on their product rather than worrying about the finance. The entrepreneur can create partnerships, create relationships, market its product with the help of an accountant. It will provide valuable information to the business to make it grow and earn profits. An accountant will also help in covering the cost as well as reducing the expenses incurred by the company. A professional accountant can also perform duties of a company secretary as they are specialist in company law. They also see to it that the company is complying and adhering to the laws laid by the Company Act, 2013. Start-ups strictly need to follow these rules from the start as it may result in the dissolution of the company. Outsourcing accounting gives a huge importance to start-ups as these outsourcing firms have wide range of expertise working under them. This support from such firms will be very valuable for the Startup as it has a lot more experience when it comes to raising funds, financial planning, financial reporting. It is better to get financial assistance from trained professionals at the early stages of a Startup as it makes the business develop and grow faster. Many entrepreneurs lack accounting skills and tend to make wrong decisions regarding accounting which acts as a negative aspect in accounting for startups. Hire Gapeseed Consulting for M.I.C.E Services? WHAT IS A PRIVATE LIMITED COMPANY? 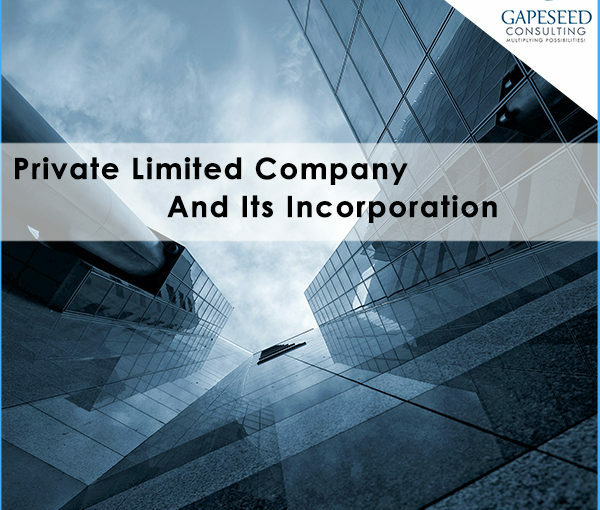 A private limited company is a type of privately held business entity registered under the Companies Act, 2013. In this type of business entity, the owners are liable to their shares. Private companies issue stock and have shareholders, they cannot trade on public exchanges and shares are not issued through an initial public offering (IPO). A private limited company must have at least one shareholder and can have a maximum of fifty shareholders. This makes the entity to stand between partnership and a public company. It is widely acceptable among entrepreneurs as it is more convenient to start a Private Limited Company. Identity Proof: A copy of PAN card is mandatory whereas a copy of the Driver’s license is optional. Address Proof: A copy of the Passport / Election ID / AADHAR card / Driver’s License is sufficient. Verification signed by the applicant. The name of the company must not be pre-existing, applicants must first search for any existing Trademark and then decide on the company’s name. The Promoters of the company have to provide at least 6 names in the order of their preference to the Registrar of Companies for name availability. When the name of the company has been approved by the Registrar of Companies then the Subscribers have to draft a MOA & AOA specifying their Names, Address, Occupation and the sign the subscription pages of the Memorandum and Articles of Association formed. The Memorandum of Association is a document regarding the main objectives as well as the secondary objectives of a company. It covers all the necessary fundamental provisions of the company’s constitution. Articles of Association is a contract based on mutual understanding between the company and its members defining their rights and duties. After the drafting of Memorandum of Association and Articles of Association, an application has to be sent to the Registrar of Companies regarding the incorporation of the company. This Application must contain all the necessary documents of the Company and its Directors. The company must pay the desired fees to the Registrar of Companies and must get Stamp Duty to get the documents verified. When all the documents are verified and duly approved by the Registrar of Companies, a digitalised ‘Certificate of Incorporation’ is mailed to the Directors of the company. Once the Incorporation Certificate is received , company can start with its operations . A company is a legal entity and a juristic person under the law. The members (Shareholders/Directors) of a company have no liability to the creditors of the company. This form of organisation has wide legal capacity, acquire and hold property and also incur debts in its own name. As a juristic person, a company can sue in its own name and can be sued by others. A company’s common seal is considered as its signature but is not mandatory. Limited liability means the status of being legally responsible only to a limited amount of debts of a company. A company is a separate legal entity from its members. The liability for repayment of debts incurred by the company lies on the company itself and not on the owner. Unlike other business entities the liability of the members in respect of the company’s debts is limited. A private limited company has perpetual succession. A perpetual succession means the company has uninterrupted existence until it is legally dissolved or voluntarily. A company, being a separate legal person will continue to exist even if a member dies or ceases irrespective of the changes in the membership. Shares of a Private Limited company which is limited by the number of shares can be transferred by a shareholder to any other person. The shares and other interest of any member in the company is dealt as a movable property and can be transferred in the manner provided by the Company. Shares can be transferred by filing and signing a share transfer form and handing it over to the buyer of the shares along with the share certificate. It is easier for a member to leave the membership of the company and also to transfer its share of ownership. A company as a legal entity is capable of owning its funds and properties. No shareholder can make any claim upon the property of the company as the owner of the company and the company itself are two separate entities. If you are looking for incorporating a private limited company or still perplexed as to what is most appropriate for your kind of business, feel free to get in touch with us. You can visit us for consultation and speak to our CS to ascertain the right direction. 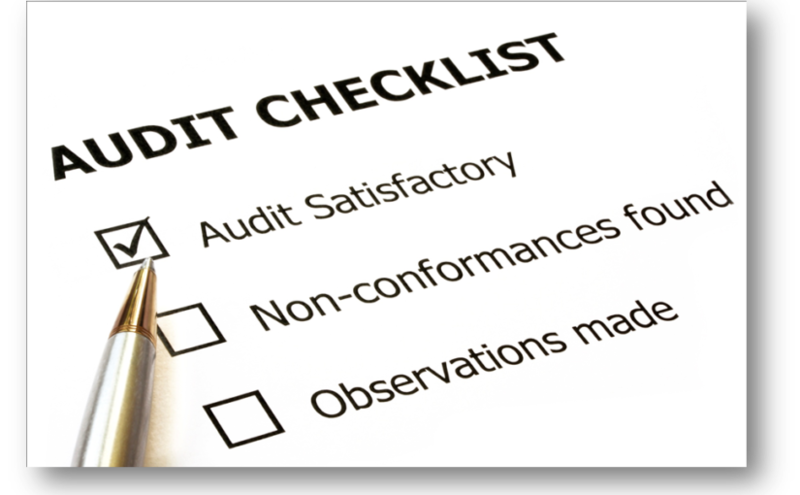 Why Audits are important for business? One Person Company (OPC) is a form of business entity that is owned and managed by a single entrepreneur. This concept was introduced in India through the Companies Act, 2013 supporting entrepreneurs who are capable of starting a venture by creating a single person economic entity. A One Person Company is also a separate legal entity from its members just like a Private Limited Company or a Limited Liability Company. In this type of business entity, only one person is required who can be the Director and as well as the shareholder of the company. This venture of One Person Company is still in its emerging stages which makes it much more difficult for entrepreneurs to adopt, it is mainly suitable for people starting an unregistered Proprietorship. The entrepreneur can set up their company without sharing their profits as One Person Company does not need a middleman to target the markets. One Person Company is a business entity which is owned and managed by a single person. 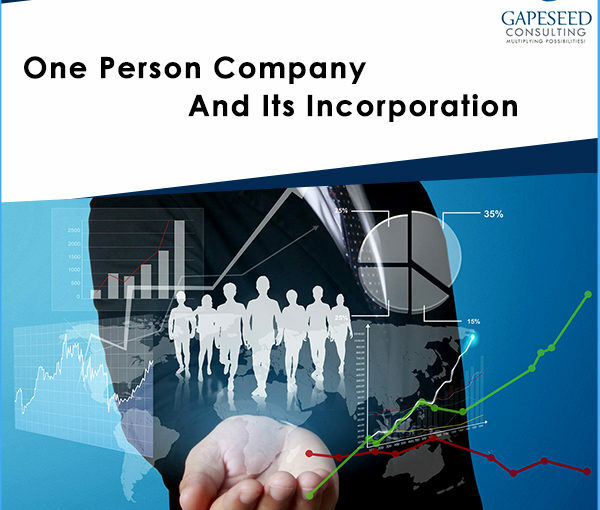 The Company Incorporation Rule states that only a resident and also a citizen of India can form a One Person Company. The entrepreneur hold all the shares of the company as it has only one member. The people who are Foreign citizens and are Non-Resident citizens cannot indulge in the formation of a One Person Company. A shareholder can only have shares in a single One Person Company and not in various companies. A One Person Company can be managed by a Single Person. In this type of business entity, the Sole Shareholder can become the Sole Director of the business. A One Person Company can have a maximum number of 15 directors even if it may be having a Sole Shareholder. This states that the Shareholder of the company has to nominate a person who in the event of death or inability to continue the work in the company will come forward to take the charge of the One Person Company. The present shareholder will issue a written consent in the name of the nominee, the nominee must also be a resident and a citizen of Indian. The person nominated must not have any other One Person Company under control. 1. Identity Proof: A copy of PAN card is mandatory whereas a copy of the Driver’s license is optional. 2. Address Proof: A copy of the Passport / Election ID / AADHAR card / Driver’s License is sufficient. 6. Verification signed by the applicant. The name of the company must not be pre-existing, applicants must first search for any existing Trademark and then decide on the company’s name. The Promoter of the company have to provide at least 6 names in the order of their preference to the Registrar of Companies for name availability. When the name of the company has been approved by the Registrar of Companies then the Subscriber have to draft a MOA &amp; AOA specifying their Names, Address, Occupation and the sign the subscription pages of the Memorandum and Articles of Association formed. When all the documents are verified and duly approved by the Registrar of Companies, a digitalised ‘Certificate of Incorporation’ is mailed to the Directors of the company. Once the Incorporation Certificate is received, company can start with its operations. 1. A One Person Company is a separate business entity and have Limited liability to its members. 2. This type of Company helps an entrepreneur to establish its own business without depending upon a second person. 3. A Legal Auditor is not required in this business unlike any other business enterprise. 4. A One Person Company being a separate legal entity can own property in the Company’s name and the shareholder cannot make any claim upon the property. It is an association of 2 or more persons who have set up this business structure for carrying on a lawful business with a view to profit, with the partners having a limited state of liability. LLPs are governed under the Limited liability Partnership Act, 2008. It can be said that LLP is a combination of Partnership and Private Limited Company as it encompasses features of both. Limited liability partnerships are distinct from limited partnerships in some countries, which may allow all LLP partners to have limited liability, while a limited partnership may require at least one unlimited partner and allow others to assume the role of a passive and limited liability investor. As a result, in these countries, the LLP is more suited for businesses in which all investors wish to take an active role in management. Register yourself on the website of Ministry of Corporate Affairs, developed for LLP services . Fill in the registration form then select your user name and password. Therein, upload digital signature certificate. All designated partners of the proposed LLP shall obtain “Designated Partner Identification Number (DPIN) / Director Identification Number (DIN)”. Partners/Designated partners whose signatures are to be affixed on the e-forms has to obtain class 2 or class 3 Digital Signature Certificate (DSC) from any authorised certifying agency. Log on to the LLP portal. After login, click “E-Forms” link. Open Form-1 for reservation of name and fill in the details. Choose the name of the proposed LLP (upto 6 choices can be indicated). After this attach the digital signatures and submit the e-form and pay the necessary fee. Details of minimum two designated partners of the proposed LLP, (at least one of them must be a resident of India) is required to be filled in the application for reservation of name. Only individuals or nominees on behalf of the bodies corporate as partners can act as designated partners. Once the name is reserved by the Registrar, log on to the portal and fill up Form-2 “Incorporation Document and Statement”. Pay the prescribed registration fee as per the slab given in LLP Rules, 2009, based on the total monetary value of contribution of partners in the proposed LLP. Statement in the e-form is to be digitally signed by a person named in the incorporation document as a designated partner having permanent DPIN and also to be digitally signed by an advocate/company secretary/chartered accountant/cost accountant in practice and engaged in the formation of LLP . On submission of complete documents, the Registrar after satisfying himself about compliance with relevant provisions of the LLP Act can register the LLP, maximum within 14 days of filing of Form-2 and will issue a certificate of incorporation in Form-16. Incorporation documents must be filed with the following attachments. 1. Copy of authorisation where the partner is a limited liability partnership, or company, or a limited liability partnership incorporated outside India or a company incorporated outside India. 2. Proof of address of registered office of limited liability partnership. 3. Details in respect of names of partners/witnesses and their signatures. 4. Attachments in respect of details of individuals/bodies corporate where the number exceeds five. 5. Optional attachments as may be required. LLP agreement must be filed in (E-Form 3) with the Registrar within 30 days of incorporation. The LLP Agreement must be stamped in accordance with the stamp Act. Separate legal entity : Like a company LLP also has a separate legal entity. So the partners and the LLP are distinct from each other. No requirement of minimum capital : In case of companies there should be a minimum amount of capital that should be brought by the members or owners who want to form it. But to start an LLP there is no requirement of minimum capital. Minimum number of members : To start a limited liability partnership at least two members are required initially. However, there is no mentioned limit on the maximum number of partners. No requirement of compulsory audit : All the companiesare required to get their accounts audited. But in case of LLP, there is no such mandatory requirement. • An LLP can easily attract finance from PE Investors, financial institutions, etc. • LLP cannot raise money from public, unlike a company. The Ministry of Corporate Affairs has introduced E – Form INC-32 under SPICe (Simplified Proforma for Incorporating Company Electronically) scheme vide MCA’s notification dated 01/10/2016 notifying Companies fourth amendment Rules,2016. This is a very significant initiative for technological advancement. The basic aim is to simplify the incorporation of a company by filling up an e-form INC-32. EarlierMCA had come with the integrated process of incorporation by filing E-form INC-29. This was a major reform brought by MCA for incorporation of a company which required filing of only one E-form i.e. INC-29 as against the 5 forms filed earlier. As the entire process is in single form, correct filing would mean approval in 48 hours. For further simplification, MCA has facilitated the process of incorporation by introducing SPICe E-form INC-32 which provides the same facilities as were provided in Form INC-29 with facilitating the process by introducing filing of Memorandum and Article of Association electronically. As against the earlier process, it has the potential to save lots of time and energy, if properly implemented. However, further clarification with regard to incorporation under SPICe is to be provided by Ministry of Corporate Affairs. 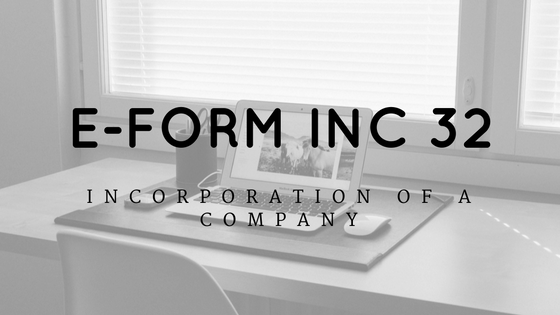 As against the facility provided by the e-form INC-29, e-form INC 32 has the facility to fill the form of incorporation of a company even after filing for the INC-1. That is, even if you’ve already filed the INC-1, you can apply for the name of the company INC-32. The five purposes for company registration, which are application for DIN allotment, reservation of name, incorporation and even PAN and TAN, are fulfilled by both INC-32 and INC-29, but INC-32 has in depth information as compared to INC-29 with an additional introduction of filing of MOA and AOA of the company electronically. Now under SPICe, Memorandum and Articles of Association should be filed electronically, simplifying the whole process. In E-form INC-33 a copy paste of the objects of the company has to be done and in E-Form INC-34 a choice has to be made amongst the pre-drafted clauses of Articles of Association. This has made the task of drafting Memorandum and Article of Association much easier for professionals. With the introduction of the new electronic Memorandum and Article of Association of the company, there is no need of signatures of subscribers and witness. Only the digital signatures of subscribers and witness on the E-Form INC-33 and E-form INC-34 would be enough for the specific purpose! Obtaining digital signatures is a costly affair. The maximum limit for initial subscribers is 7, exceeding to which, the normal procedure of incorporation must be followed. One single name can be proposed in the form as there is no provision for entering multiple names. Further to this if you seek any further clarity, feel free to write to us on, info@gapeseedconsulting.com or you can also call us at +91-9599444639. Did you know that it is possible to save your income tax out flow by far a large amount? Do you want to know about Tax Planning through Tax Exemptions? Did you know that we can help you with this year’s Tax Filing? Are you wondering about redeeming some of the previous year’s tax which you filed and weren’t aware of exemptions. Then this is the post for you. Read further to understand how you can save tax through following tax exemptions. All this is possible legally under the Indian Income Tax Act which allows certain deductions which can be claimed to save tax at the time of filing of Income Tax Return by all classes of taxpayers . All you need to do is a proper tax planning which would allow certain deductions from your gross total income and income tax would be levied on the balance income as per the income tax slabs. Here are certain year-end tax tips to get smarter with tax management. House Rent Allowance (HRA): It is the best tax saving tool which a taxpayer can use. Under this you can save upto 50% of your salary if you are staying in a metropolitan city like Mumbai, Delhi, Chennai or Kolkata else 40% if you reside in non-metro. Apart from this if actual rent paid is lower than 10% of your basic salary received then there is no exemption. Be aware that you cannot claim any exemption under this section if you love in your own home or of you are not paying rent to anyone. Medical Reimbursement: If your employers provide you medical reimbursement facility for your medical expenses you can get tax exemption. No income tax on medical reimbursement is levied up to Rs. 15000 provided all bills for the same are produced by the employee to the employee. This also includes premiums that your company might be paying for your health insurance schemes and on treatments of any critical diseases. It is to be noted that no income tax on medical reimbursement is levied upto Rs. 15000, the amount received as medical allowance would be fully taxable. Deductions on Section 80C, 80CCC: Under Section 80C a deduction of Rs.1,50,000 can be claimed from the total income you earn. In simple terms you can save up to Rs. 1,50,000 from your total taxable income under this section. Please note this deduction is allowed to an individual or a HUF. Under Section 80CCC it provides deduction to an Individual for any amount paid or deposited in any annuity plan of LIC or any other insurer. The plan must be for receiving pension from a fund referred to in Section 10(23AAB). Leave Travel Allowance (LTA): It is the most common element of compensation which the employers use to remunerate employees due to the tax benefits attached to it. An LTA is the remuneration paid by an employer for Employee’s travel in the country, when s/he is on leave with the family or alone. LTA amount is tax free. Section 10(5) of the Income-Tax Act, 1961, read with Rule 2B, provides for the exemption and outlines the conditions subject to which LTA is exempt. Please note that The total cost of the holidays is not covered, only the travelling cost is covered. Spend more: Increasing expenses, such as paying off bills or other debts or paying out bonuses to employees, it will help increase your deduction for the current year. If you’ve delayed major purchases for your business, you should go ahead and buy it. Not only can you find great deals as businesses try to clear out inventory, you’ll have more deductions. In general capital improvements and new equipment should be capitalized and depreciated over 5, 7 or 10 year period.To know more about tax planning, tax exemptions and to get smarter with tax management for this financial year, drop us a line here and we will be happy to provide you our Tax planning services . You can also write us at info@gapeseedconsulting.com or, call us for Tax Advice at, +91-9599444639. Without any doubts, today’s organizations face a global economic crisis of historical proportions. In response to that, management, board of directors and leaders throughout the organization are taking fresh look at virtually all aspects of the business to assess how to enhance productivity, processes and systems, yet still stay “in control.” They are starting, and very likely will continue, to think and respond differently as they determine how to operate their businesses successfully and maintain plans for long-term growth in today’s unique business environment. As the mandate and role of internal audit continue to evolve, managements are increasingly counting on internal audit functions in their efforts for managing fraud risks and keeping organisations protected. Increasingly, the internal audit function is not to monitor and detect but also to investigate fraud incidences when they arise. The role of internal audit in fraud risk management by way of preventing, detecting and investigating fraud has amplified as a result of economic uncertainty and increased focus of certain organisation’s management on fraud risks. Internal auditors traditionally look beyond financial risks and statements to consider wider issues such as the organisation’s reputation, growth, impact on the environment etc. The fundamental function of an internal audit team are Assurance, Assessment and Recommendations, Oversight, Advisory Services. Internal auditing professionals not only must understand these challenges and their organization’s key objectives, but also ensure that amid the many organization wide changes taking place on almost a daily basis, key controls and processes are adequately addressing these changes and the new risks that emerge, and are functioning as intended. Internal audit plays a critical role in helping companies successfully “manage the change” by providing assurances that with every new process, procedure and initiative, any significant new risks that emerge are identified, monitored and managed effectively, so that the enterprise is protected on an on-going basis and to a level that satisfies management and the board. Strategic and valued advisor:The Internal Audit function serves as a subject-matter resource to business management around strategic initiatives, challenges and changes in the organisation. The function has the people, knowledge and experiences to effectively provide this level of service. Business insight: In addition to covering the ‘basics,’ the Internal Audit function is designed to provide high-quality, relevant business insight as an integral part of its activities. Business insight is not a by-product, but an explicit outcome from the function’s activities. Control and compliance monitoring structure:Internal Audit functions should be focused on evaluating the design and the effectiveness of internal controls in the areas outlined, in their charter or mandate. This also includes focusing on compliance with key regulations and policies. Also, internal audit must think expansively when seeking ways to add value to the organization. Too often, we find internal audit functions stop short of making recommendations that could create value for the organization for fear of overstepping their place. However, “consulting” is part of the Institute of Internal Auditors’ definition of internal auditing, and we believe that appropriately empowering this function provides management with greater opportunities to create value without compromising independence. At Gapeseed Consulting we work with your organization, virtually of any size to assist you with your internal audit activities. We believe the Internal Audits are now required to find different ways to increase shareholder value and increase the attractiveness of the company to investors, senior executives, especially the risk officers and advisors on board. Internal Audits are required for all set of businesses which are emerging as progressive business units, our Internal auditors partner and build relationships with the client business in order to keep a finger on the pulse of the organization and thereby act as your growth partners. Tax accounting for start-ups and small businesses has started to be regulated due the increase in number of start ups and small businesses which has scrutinised the regulatory norms this has also brought up many other flaws in the system of other companies. The change in the environment of tax accounting services has been constantly changing and growing which has brought upto a situation where tax laws have evolved which has rapidly impacted the tax planning as well as the tax preparation. This has made impact on the company’s financial reporting. 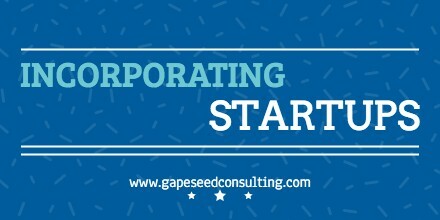 At Gapeseed Consulting we offer our client Tax accounting services to start-ups and small businesses. We can help to make changes in the way of tax planning and reporting which helps in increased efficient results at quarter-end and year-end. Apart from this at Gapeseed Consulting we offer other accounting services which can help you manage your taxes and business better like Bookkeeping services where we specialize in budgeting and account reconciliation and will actively balance your books. We offer payroll services as well in which we’ll take the payroll process off your plate and ensure you are always compliant. The services provided by us for tax accounting to start ups and small businesses are as follows. Tax provision outsourcing and support:Many companies continue to struggle with the appropriate amount of internal tax resources to employ. Some companies want to own the entire tax function, while others want an experienced tax firm to be entirely accountable and responsible for their tax needs. Some want a mix of both. For more than two decades, Gapeseed Consulting has developed and delivered the people, process, and technology to provide an integrated, cost-effective approach to operating tax departments. Clients in industries such as life sciences, retail, manufacturing, banking and utilities have realized the benefits of Gapeseed Consulting tax accounting services. Accounting for uncertain tax positions assessments:We help clients minimize the risk of forfeiture and maximize future benefits via a wide range of tax process and operations management solutions. We design, transform, and run intelligent operations that provide comprehensive tax compliance support for corporate and transactional taxes. In addition, we prepare premium tax returns for insurance businesses, assist in VAT filings and associated reconciliations property tax returns, and provide information. Actively Managing Your Tax Department:Our tax department outsourcing services also include managing and assisting with operational matters that arise on a day-to-day basis such as establishing procedures and reporting practices, proactively communicating with company management, maintaining a corporate tax calendar, and assisting with examination support. Gapeseed Consulting establishes effective communication protocols, serves as a tax liaison to external auditors, and responds to tax inquiries from internal business units. Tax Preparation:It can be a tedious task to prepare your own tax return which might even leave you with more doubts. We constantly check and recheck your tax returns our teams plans up the filing either offline or efiling which will help you get your refund back quicker. Combined with our payroll services we can help you with the withdrawal which can help you get more money back and low interest loans. In addition we will help you with a sheet of commonly overlooked deductions to limit the year’s tax liability. Tax Planning: Planning is the key to successfully and legally reducing your tax liability. We go beyond tax compliance and proactively recommend tax saving strategies to maximize your after-tax income. We make it a priority to enhance our mastery of the current tax law, complex tax code, and new tax regulations to help our clients with the latest trends.Businesses and individuals pay the lowest amount of taxes allowable by law because we continually look for ways to minimize your taxes throughout the year, not just at the end of the year. If you would like to know more about our tax accounting services for start-ups and small businesses you can drop us a line here. suitable option for your start-up idea. This post will help you understand the procedure for Formation/Registration/Incorporation of Private and Public Company in India. Also Detailed Documents required for the same can be found here. electronic form in order to ensure the security and authenticity of the documents filed electronically. This is the only secure and authentic way that a document can be submitted electronically. As such, all filings done by the companies under MCA21 e-Governance programme are required to be filed with the use of Digital Signatures by the person authorised to sign the documents. To know the names of Certification Agency (CA) from where DSC can be acquired refer to our Free Guide. INCOME TAX PAN IS MANDATORY, so before applying of DIN a person must have his PAN number. Details on PAN and DIN must be same. Step by step process to be followed by the applicant can be found in our resource section. Third step is to register DSC of the person authorized to sign E-forms on MCA21 or if you want us to do it for you drop us a line here. As per section 4(4) of Companies Act, 2013 read with rule 9 of Companies Incorporation Rules, 2014, application is to be made to registrar for reservation of name. 6 names can be proposed after checking its availability at MCA21 and as per guidelines given in the said rules and the procedures & documents required to be attached to INC – 1 are also available in the resource section. articles of association registered along with its memorandum of association. The memorandum and articles shall be in conformity with the provisions of Section 4 and 5 of the Companies Act 2013. Read more here. As per Rule-12 of Companies (Incorporation) Rules, 2014, application for incorporation of a private and Public company, with the Registrar, within whose jurisdiction the registered office of the company is proposed to be situated, shall be filed in Form no. INC 7 [Rule 12 to 18] along with Form no. INC.22 for situation of registered office of the Company, (as the case selected in form no. INC 7) and DIR -12. There is a list of documents to be filled for Filing of company incorporation form get in touch with us to know it all. E-form INC.21 is required to be filed with concerned Registrar of Companies for obtaining approval for commencement of Business and exercise of borrowing powers. This E-form is required to be filed by all companies incorporated under Companies Act 2013. Now that you have understood the basics of CFO Services for Startups and the Payroll Services and the advantages of payroll for startups, our blog 3 in the series is all about Incorporating a startup, the options and categorization as sanctioned by the Ministry of Corporate Affairs. If you are planning of incorporating a startup which is home run, family run or service oriented you can probably begin with one person company and once you get established you can think of expansion. People incorporating a startup which involves product, delivery and revolves around mass consumption or even which involves a number of stakeholders involved from the beginning should go for private limited company. This adds credibility to your idea at the launch stage itself. 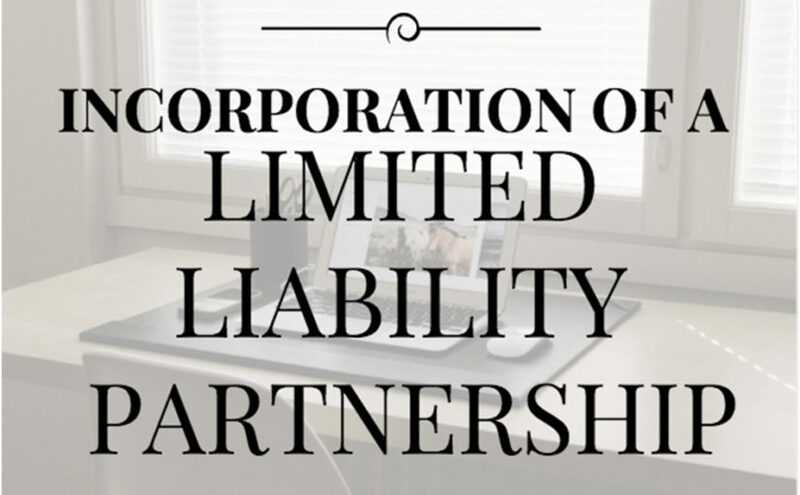 LLP is a corporate structure that combines the flexibility of a partnership and the advantage of limited liability. Owing to flexibility in structure and operation, it would be useful for small and medium enterprises, in general and for the enterprises in service sector professionals. On LLP, the Partnership Act 1932 not applicable. There are pros and cons attached but entrepreneurs who are in the process of incorporating a startup which involves further licensing and compliances with other government authorities opt for LLPs. This is mostly a preferred option for startups entering the BFSI sector. Gapeseed Consulting Pvt Ltd is a financial services company with a team of experts coming from the Accounting and Legal backgrounds. Startups usually have reservations with the set of services, registration protocols etc and they find it complex to execute. We are here to simplify business functions and thereby multiplying the possibilities. Our set of services include, Incorporation, Accounting, Tax and Company Law compliance, consulting, drafting agreements, Payroll and CFO Services. The challenge to startups is not just to manage and grow business, it is also about managing in the right way. Entrepreneurs need advice on regular basis so that all compliances are met right from the day of incorporation of business. We at Gapeseed Consulting provide virtual CFO Services to support your business. We understand that Startups usually do not hire a senior Chartered Accountant or Finance Professional at initial stage because it is very difficult situation for entrepreneur and Senior Financial Professional to do full time job in Startup. Therefore Virtual CFO Services is win-win situation for both. Gapeseed Consulting has also launched Financial Services Startup Packages to make it more suitable for the startup requisites. One of our startup client who will be soon celebrating their first anniversary felt dramatically low at a point when they realized about the compliances and regular taxation norms. Apparently those were nor considered at the planning stage and hence they felt the pressure to perform as per law & guidelines. Since we had helped them with the Registration process, they asked for our help and Gapeseed Consulting readily deputed our in-house chartered accountant Mr.Jain as the Interim CFO to manage the Liquor Import Compliances for Incorporating a Business in India while setting up a business. Tax Deducted at Source- TDS is to be deducted by company at the time of booking or making payment exceeding prescribed limits. TDS to be deposited every month before 7th day of next month. TDS return is to be filed quarterly before 15th of each quarter. Service Tax- Presently Service tax rate is 14%. Service Tax is to be deposited before 6th day of every month by company and before 6th of every quarter in case of individuals. Return is to be filed half yearly. 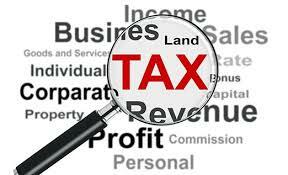 Advance Tax- Advance tax is to be calculated every quarter and to be deposited by company before due date. It is payable before 15th June, 15th Sep, 15th Dec and 15th March. Income Tax Return- Income Tax Return is to be filed annually after accounts are adopted by Board and Audited by Chartered Accountant” – we provide help to startup prepare complete accounts so that auditor can audit without any problem. We provide all information, details required for audit. Transaction structuring/ Opinion – Our experts give opinion on transaction structuring on any matter of accounting, taxation, debt or equity. MCA Filings- Returns to be filed with MCA for shifting of registered office, change in directors, increase in share capital, filing of Board and EGM/AGM Resolutions. RBI matters for filing FCGPR, or any other matter. Drafting Shareholders Agreement and Debenture Agreement for Private Limited Companies. We hope that this post helped in understanding the launch procedure and also in ascertaining the best suitable option for your startup idea. 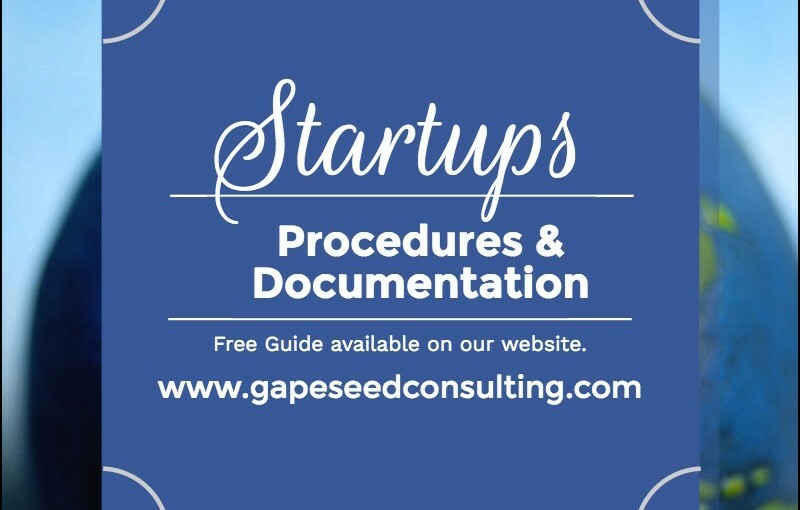 Our next post will be around the documentation that is required to complete the registration process for a startup or new business. Gapeseed plans to be your growth partner, support associate and trustworthy advisor. We help you work on your vision, embark your mission statement and partner your success story as your financial and legal advisor. Our Human Resources & Support Team also provides businesses, the much required push in business support services. Now employees having Base salary less than 21000 will be eligible for bonus ( currently it is 10000)​. ​ Also … Continue reading New Bonus Act passed. © Copyrights 2019 Gapeseed Consulting . All Rights Reserved.